Working combat trousers designed to withstand wear and tear. 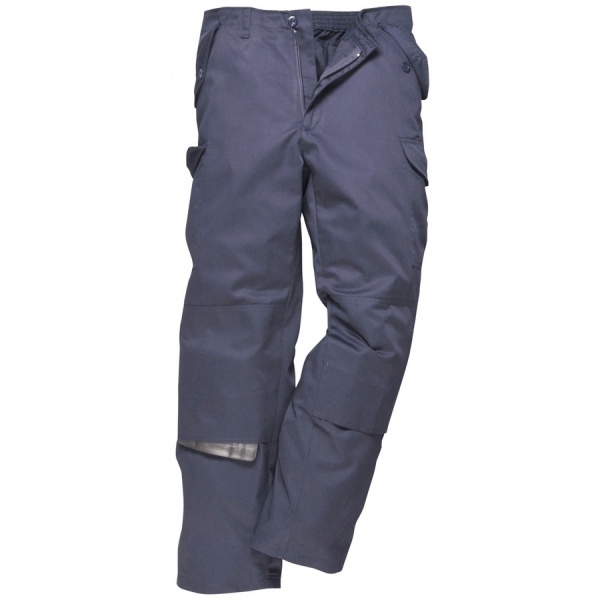 The strong, rugged construction of the trouser is popular amongst professionals looking for a long lasting, hassle free garment. The poly-cotton fabric is extremely comfortable to wear and washes well. The large combat pockets are a practical addition.